LEE, Maine — He is still a young boy, but Shane Severance already has the long, thin frame, fair hair and the bright, mischievous smile of his father. His walk, love of speed and bright eyes make it clear that he is his father’s son. “He looks exactly like his father did at that age, acts like his father. He’s a very outgoing, happy kid, a typical 7-year-old kid,” Shane’s grandfather Leslie Severance said Friday. Shane Severance’s presence is always a joy, family members said, but one that never much diminishes the fact that his father cannot be with them. Michael Severance’s wife, veterinarian Wendi Davidson, pleaded no contest in October 2006 to charges that she poisoned her husband of four months on Jan. 15, 2005, with drugs used to euthanize animals, weighed his body down with car parts and cinder blocks and dumped it in a pond owned by a Davidson family friend in San Angelo, Texas. Severance’s body was stabbed 41 times after death to keep it underwater. 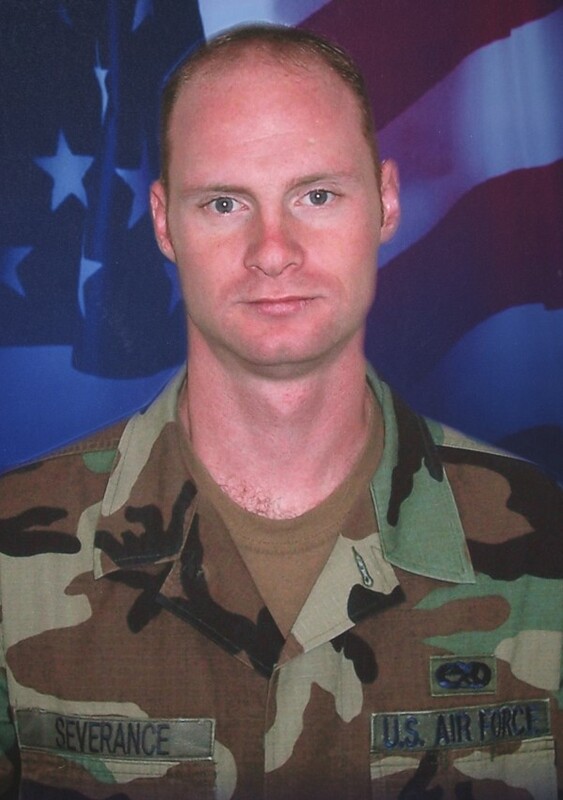 Police found the 24-year-old Air Force staff sergeant’s body on March 4, 2006. Davidson took a deal to serve a 25-year sentence on a murder charge and two concurrent 10-year sentences on two evidence-tampering charges. She remains incarcerated in a Texas prison, and the Severances share custody of Shane with Davidson’s parents. Shane visits his Lee family on school vacations and alternate Christmas holidays, having arrived at the Severance family home on Thursday. The Severances delayed their Christmas until Friday to share it with Shane and were opening presents with him at about 5 p.m. Shane is due to return to Texas on Jan. 3, Leslie Severance said. The custody arrangement is awkward, at times excruciating, as the Severances lost a bitter civil court bid to take full custody of the child in the wake of Davidson’s conviction. The family still holds an annual dance in Michael Severance’s name to benefit a senior at Lee Academy, Severance’s alma mater, with the next event scheduled for the Lincoln Knights of Columbus Hall on March 17. The murder was the subject of a true-crime novel, “A Poisoned Passion,” in October 2009. Leslie Severance also stays in touch with many of Michael’s Texas friends, plus his attorney in the custody battle, Thomas Goff, he said. That helps him cope with the loss of his son.